Celeb Luxury Colorwash® with Colorposit™ technology. The new category - a game changer in hair color adds rich color while cleansing with hi-conditioning results. These 10 fun Viral® Colorwash colors allow you to instantly wash in daring color or maintain your color in between salon appointments. Viral® Fashion Color Care™ - inspired by personality color, it's the new hair color paradigm shift. Instant, creative, cost-effective with no mess. 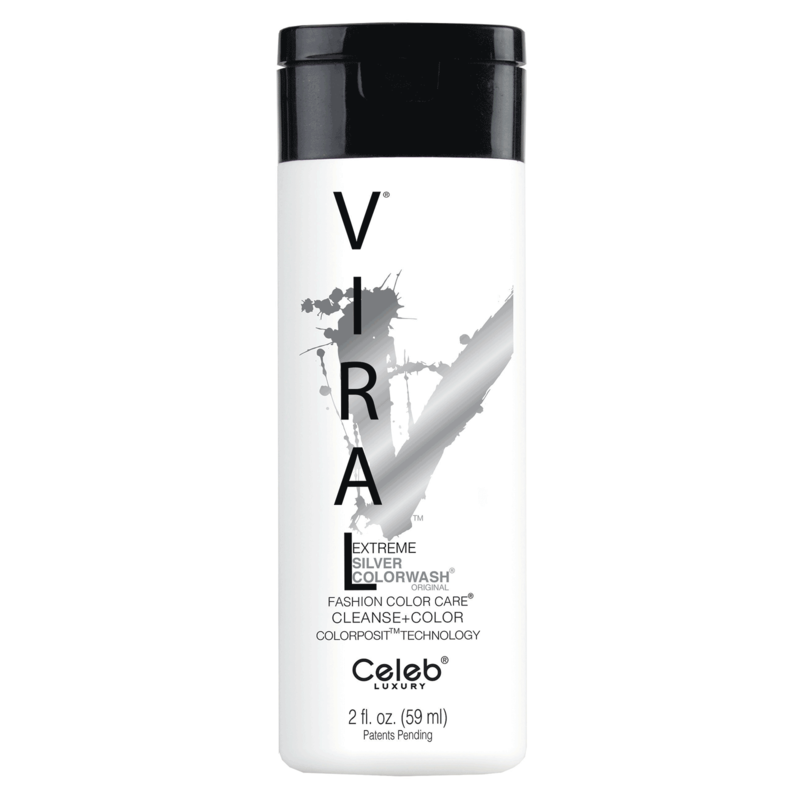 Viral Colorwash® with patent-pending, new advanced cleanse + Colorposit™ technology. 7 extreme colors + 3 pastels + 3 clears. To achieve purity of bold color, hair must be pre-lightened (bleached), to the palest blonde or white hair. - to achieve purity of bold color, hair must be pre-lightened (bleached), to the palest blonde or white hair. "If you’ve got a steel toned silver in your hair, get this shampoo! It’s got a ton of pigment in it so you get a lot of bang for your buck. I’d give it 5 stars, but the shampoo itself can be a bit drying on the hair. BUT no other brands deliver on pigment as much as Viral does with all of the shades! So it’s still a product I highly recommend, just be sure to use their moisturizing conditioner or your favorite deep conditioner afterwards!"